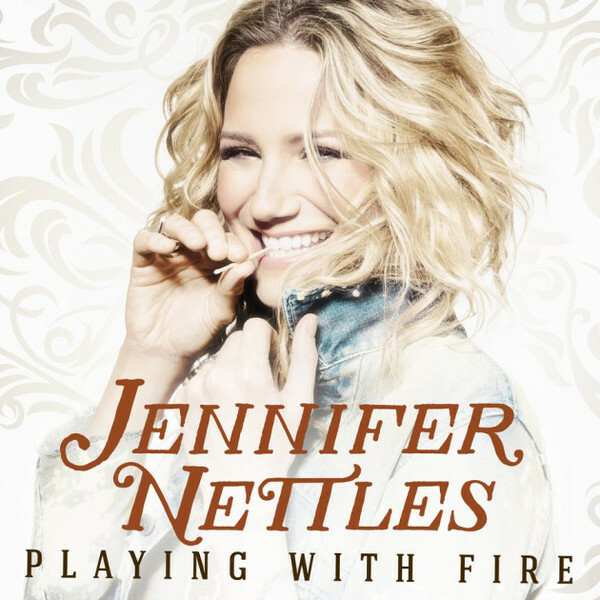 Jennifer Nettles should need no introduction – better known as being one half of superstar country music duo Sugarland alongside Kristian Bush, Jennifer has been a strong and successful solo artist for the last four years. No stranger to playing the UK in her Sugarland days, Jennifer made her first UK appearance as a solo artist at this years Country 2 Country Festival on the main stage. I was lucky enough to get to speak with Jennifer before the festival kicked off. Jennifer was an absolute joy and hoot to chat to and certainly gained a new fan right there in that room. She is not only friendly but she is humble, down to earth, hilarious and puts you at ease. I hope you enjoy our chat as I found her answers and her discussion thoroughly interesting. Hi Jennifer, welcome back to the UK. Thank you, it’s been a while! Last time you were here was with Sugarland? It was, yes, we were on the Graham Norton Show. Yes, I remember you performed ‘Stuck Like Glue’. What’s it like to be back as a solo artist? It’s exciting to be back. Luckily now with the socials, I am able to keep up with the fans here and see what they are excited about and want to hear. To find that they are excited that I am coming over is super encouraging as well. I’ll play some new music and of course I will play some Sugarland stuff too, but it’s great to be able to get to showcase where I am and where I’ve been as an artist over the past five years. It’s interesting that you mention socials because, since you were last here, Country Music has grown rapidly in the UK and has really started to get big. The socials are a big part of that, as they help us to discover artists. I remember not too long ago how rare it was to find another fan in the UK and when you found one, or you hear a County song on the radio, it was a big deal – but it’s changed so much now. Yeah, the world has changed in terms of the socials and how we network and find out about music, get word of mouth and how we form communities around music that we love – all of that has changed. The music itself has also changed; it’s a living organism like everything else and it evolves and responds to the market and the times and the fans. All genres change as the years go on, goodness knows where it will be in years to come. Exactly. I saw a beautiful illustration online; it was sort of an A/B of two drawings. The first one was this outline of a human figure and there were just a couple of flowers and the second drawing there were a lot of flowers and the first one says to the second one “You’ve changed”, and the second one says ” I should hope so”. Right, and that’s how we are. We are individuals, and that’s reflected in our individual music and the genre as a whole and music as a whole. Well if our taste as fans can change, then I think it’s only right that artists have the freedom to change, too. Well, and that’s our jobs. I think our job in its highest form is to show a connection to our humanity and to each other in that way by celebrating that humanity. Some people in their lives are more static in their art and they are not going to change; for example, when you look at the career of someone like George Strait. He has had a fantastic career and, as an artist has maintained a certain level of stability within what he does. Then you have an artist like me; I am very dynamic and easily excited by so many things and I think that shows in my own dynamism and in my own changing. So you are playing Glasgow and Dublin, too. You have been to Dublin before – what is it like there? We are great here but in Dublin and Glasgow you will definitely get a rowdier crowd, which I really want to experience. We are quite a polite crowd here but, because we listen we really listen. Which I love, I love! It’s a wonderful difference in comparison to our crowds at home. It’s a cultural difference with how people experience music, and it makes me very excited. Yes, and we know all the album tracks. You could have released a song yesterday and we will know the words already. I know, haha, its great! So, you are opening the Festival, and Kristian opened the first ever C2C, so Sugarland are obviously important to the UK. When you are on stage, whether it be solo music or Sugarland music, is there a favourite song for you to perform? Any which are hard emotionally? It does morph and change, but I enjoy a song from my latest album called Way Back Home. In some of my writing, it’s all story telling but some of it is confessional and some of it is more narrative and some of it is for the sake of the character in story telling in that way. As songwriters we can’t help but write ourselves at least in some part into everything. But that song in particular, Way Back Home, has a certain resonance for me to perform – it’s quite victorious. I love performing Unlove You. Stay is always an emotional performance. There is something to be said for the fun ones too, but these for me are more emotional. You released your second solo album last year and are now with Big Machine Records, which is fantastic, as they are a great label. They’re so great, I love being there, they are fantastic folk. How would you describe this album in comparison to the last, as I can imagine you have grown as an artist since then, especially now you are a mum? Well I had a child when I was recording That Girl, which was my first solo album. He was five months old at the time when I wrote that album and now he’s four. At the time I recorded that album I was really just coming out of a ‘Woah!’ moment. Becoming a mother was such an identity buster and I found myself just wanting to do things that made me feel empowered and reminded me of myself. So I wanted to go and make a record and the songs you hear are just me exploring and opening myself in that way. I got to record that album with Rick Rubin, who is fantastic, legendary and iconic and absolutely should be all those things, because he is so wonderful at what he does. That Girl is much more organic, whereas Playing With Fire has a much more lush and filled out sound from a production stand point. So it’s a bit slicker in that way, but also that’s what the songs call for and that’s what I was enjoying with Dan Huff, who produced it. Well it’s a fantastic album and sonically it’s very mixed in terms of genre cross-overs, and emotionally too. There is Modern Country, Traditional Country – and then a glimpse of Reggae! Yeah, there’s a little bit of everything in there. Like I said, I am easily excitable and I enjoy music on many levels and all genres of music. It’s interesting as a singer and as a songwriter, I love diversity, which is fun for me and fun for fans. It probably drives the label crazy, because radio is so rigid and static and consequently, sometimes, they don’t always know what to do with me – but I can only be myself and that’s what I bring. I noticed that you wrote with Brandy Clark a lot on the album – we love Brandy in the UK. I can only imagine that being in a room, writing with Brandy, has got to be hilarious? Hilarious! We have toured together – she was on tour with me for the That Girl tour and she was out with me when I did Playing With Fire. We have, over the years, become good friends, as well as co-writers. She is so brilliant at what she does and is absolutely emotional and authentic and can really turn a phrase in a way that can just get you with its honesty. She is also a fantastic guitar player in terms of rhythm guitar. Writing with her is a beautiful experience and lots of laughs, yes haha! She is very fun. I can just imagine the two of you bouncing off each other with funny ideas and just having so much fun. Haha, yeah, there are a lot of shenanigans – oh yeah, a lot of shenanigans! You do some amazing duets and I have to mention Idina Menzel, as have loved her since she was in Rent. I love your duet with her on Little Drummer Boy, from your Christmas album. It was my favourite Christmas song last year. It was a lovely collaboration. You also worked with Jennifer Lopez, which is a lovely collaboration and at the same time slightly surprising – but that being said, she already has her country connections as she judges with Keith Urban on American Idol. Is that how you met? I met J-Lo in pitching the idea of that song to her. I had the idea that I thought we are living in such tenuous, strange and challenging times – and especially where topics like otherness and immigration are concerned. I wanted to write a song that celebrated that we are more alike than we are different and we did it in such a way that really showed the humanity of it; the today stuff that we are all dealing with, the same kinds of mundanity, whatever it may be. So I reached out to her and had a couple of minutes to chat with her and just pitched the idea, and she said ‘Absolutely, I am in!’. We got together and sat down with a couple of our friends and wrote My House Is Your House. It’s a great song – and fun! We mentioned earlier about Country Radio. Do you think that it’s starting to open its doors to playing more women – or do you think it’s still a struggle for a woman to get played on the radio? Yeah, I think it’s still a struggle. It won’t change anytime soon. I would like to say something positive about that, but I don’t feel that it’s true. We don’t really have Country Radio here like you do in America – we have our internet stations, and Bob Harris. Yay, who we all love! He is a massive country fan. He is like the Ambassador of Country Music to the States from here, which is fantastic. Yes, and he always plays female Country artists. If you were here and we had more stations, you would get played all the time, as we love our female artists. I love that! Well maybe I will come over more -how about that? Yes, please do, you should all just move over here. Awwwwww congratulations – oh, my God! So, when I say becoming a mother is an identity buster you are completely in the midst of it? Haha yep; if I was a songwriter, that album would be a wreck, haha! Yeah, babe it’s real – right? He is just starting to dance and recognise music. Does your son know what you do now and is he familiar with your music? He knows my voice and he knows music. He knows that it’s me and knows that’s what I do but he doesn’t understand it as such – for him, everyone could be doing it. He doesn’t know that it’s something other people find unique, for him…. Sesame street characters are the celebrities? 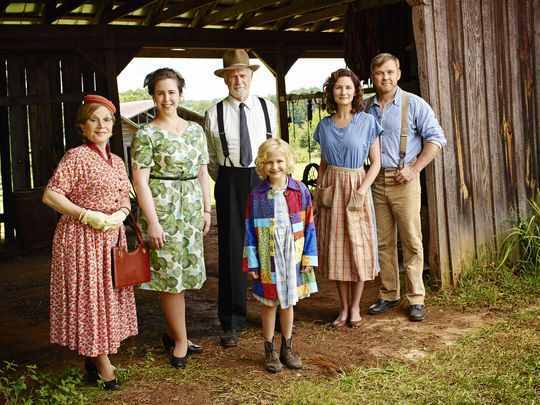 You got cast as Dolly Parton’s mum in the Coat Of Many Colours movie, which must have been such an honour; amazing and lots of pressure – but the most honourable part to be asked to play. How did you prepare for the role – what was the experience like? The whole experience was so lovely – it was all of that. I was honoured to be chosen for me and for Country Music and really for the popular music world. Everyone knows Dolly Parton, I don’t t care if you’re a Country fan or not, you know Dolly Parton. She is iconic. To play her mum was an honour but there was also pressure there because I wanted to make her proud. I wanted to play the part in a way that felt and celebrated her mother and the relationship that they had – and she has been nothing but complimentary and encouraging with that. As a matter of fact, just recently after the dust had settled, after the second movie we just did over the holidays, she sent me a letter in the mail. I know, and she said how thankful she was and what a good job she thought I did. Of course I am having it framed, because that doesn’t happen any more, and she’s one of the world’s legends – she’s a legend. She does seem like a really nice person as well, and funny. Oh she’s hysterical; she’s so quick and so witty, so smart, yeah. Steel Magnolias is one of my favourite movies. Me too, me too. “Drink your juice, Shelby” Haha, it’s so good. Can I ask the story behind Hey Heartbreak – the story behind choosing it for the album as it was one on the album you didn’t write? Yeah, Sarah Hayes and Shane McAnally, who is fantastic, wrote it. You talk about a hoot in the room, dear lord. I am glad that it is on there. The entire album is just so lovely, I am so excited for the show – everyone is buzzing. What are you listening to in Country Music right now? Who should we be listening to, looking out for? You know what, I actually love Chris Stapleton. I would also add Maren Morris – I think she is a fantastic new voice, but beyond that I don’t listen to a lot of current Country Music, to be honest. The records I am enjoying right now, I love. Foy Vance, The Wild Swan is a great album. He is just god, fantastic songwriter. This last record of his was so well performed, so well produced, all of it. He just breaks my heart in a beautiful way. That, and also there is a fantastic musical out now that came out on Broadway a couple of months ago called Dear Evan Hansen. I got the soundtrack after I saw it because it changed my life. Bruno Mars is just so fine and I just got some old Sam Cooke and a nice compilation of Aretha – so I like to mix it up, you know? You have people that will always make fun of Country Music and say, ‘Oh, it’s about your dog dying and your wife leaving you,’ and I say there is a kind of truth to that. But what I love about Country Music – and I say this a lot in my shows – is that what County Music does better than any other genre, with the exception of blues, is celebrate brokenness and realness – that’s when it’s at its best That’s why that stereotype is there, because that’s a certain level of brokenness. That’s not to say that it doesn’t celebrate the high times in life too, as it absolutely does, but I think that what it does best is really connect us when we need to heal. It tells those stories that you can’t really tell in a song that you dance to in a club – that doesn’t resonate the same way., That song will heal your heart in celebration through dance but it won’t heal your heart in terms of connecting you to what’s broken and I think Country Music does that.